Sustainability is extremely important for our business partner as well as for us. EVONIK, as a producer of innovative raw materials, is aware of its responsibility in terms of safety, environmental impact and health. EVONIK makes every effort to ensure that technological and marketing solutions go hand in hand with the effective management of natural resources, balance in the supply chain and social responsibility. 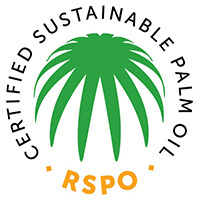 ADARA, as a distributor, is a member of the RSPO organization and under the licence agreement, an element of the supply chain of EVONIK products certified by RSPO.